The last few weeks of December set Open Letter Books up for a great 2017. In mid-December, The National Endowment of the Arts awarded the small literary translation press an Art Works grant of $40,000. This was the largest amount awarded to any Rochester organization this cycle -- BOA Editions and George Eastman Museum each received $20,000; the Rochester Fringe Festival received $25,000; and Gateways Music Festival and Geva Theatre Center were each awarded $10,000. Additionally, one of Open Letter's upcoming publications, Antoine Volodine's "Radiant Terminus" (translated from the French by Jeffrey Zuckerman), made the Kirkus Starred Review list for December. 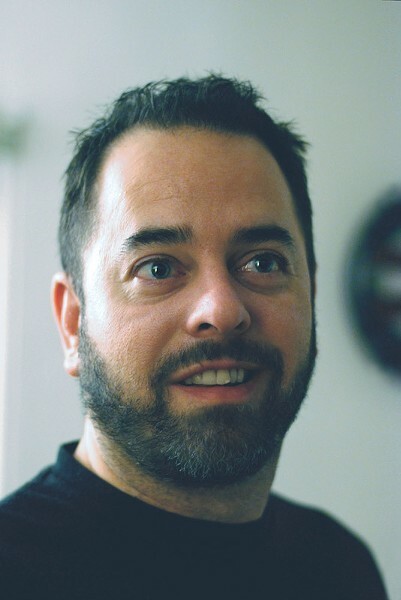 "In the past we've found that a Starred Review leads to more coverage from larger magazines," expanding the small press's reach and potential audience, Open Letter Director Chad Post says. "We've been publishing Volodine for a few years and trying to get his work some traction, and this one might be the one that finally makes that happen." Another of Open Letter's recent publications, Iben Mondrup's "Justine" (translated from the Danish by Kerrie Pierce), was chosen by The Rumpus for its book-of-the-month club in December, and was included in the PEN Translation Prize longlist. And Open Letter's "The Chronicle of the Murdered House," published in November 2016, received a glowing review from The Onion's entertainment website, avclub.com, in December as well. Post says this last achievement was a milestone -- in Open Letter's 16 years, organizers have been trying to get featured in the A.V. Club, and this is the first time it's happened. Finally, Georgi Gospodinov's "The Physics of Sorrow" (translated from the Bulgarian by Angela Rodel), received Poland's Jan Michalski Prize. It's also long-listed for the 2017 IMPACT prize, which is run by the Dublin Library System, and is one of the largest literary prizes in the world in terms of cash awards. "For whatever reason, everything's happening all at once," Post says. Open Letter Books has received NEA funds for the past nine cycles. "We apply to the National Endowment for the Arts for an Art Works grant every single year," Post says. "It's a fantastic program, and the only national funding available for non-profit presses and literary organizations. In many ways, this program is what allows nonprofit publishing to exist in the United States." The six titles funded by the grant are "The Invented Part," by Rodrigo Fresán (Argentina), translated by Will Vanderhyden; "The Brahmadells," by Jóanes Nielsen (Faroe Islands), translated by Kerri Pierce; "Tómas Jónsson, Bestseller" by Gudbergur Bergsson (Iceland), translated by Lytton Smith; "Her Mother's Mother's Mother and Her Daughters," by Maria José Silveira (Brazil), translated by Eric M. Becker; "The Island of Point Nemo," by Jean-Marie Blas de Roblès (France), translated by Hannah Chute; and "The Owls' Absence," by Bae Suah (South Korea), translated by Deborah Smith. 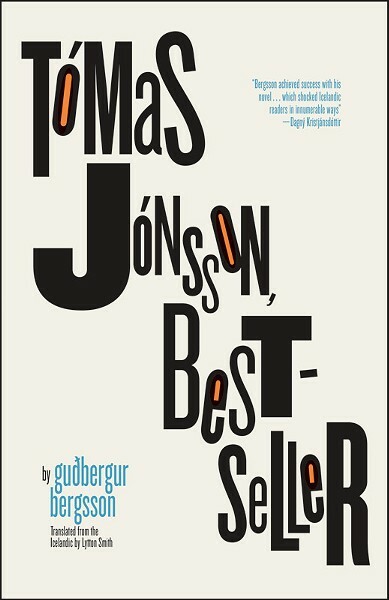 "Tómas Jónsson, Bestseller" by Gudbergur Bergsson (Iceland), translated by Lytton Smith. 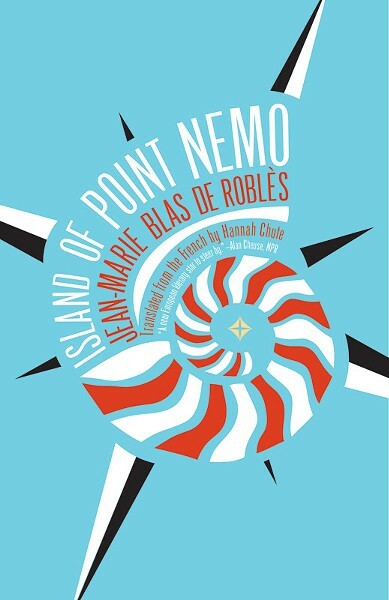 "The Island of Point Nemo," byJean-Marie Blas de Roblès (France), translated byHannah Chute. Though these specific titles will be published in 2017, they were part of the application process for the grant, which was submitted in March of 2016. This March, Post will apply for the next NEA grant, in hopes of funding books that will come out in 2018. "Given that we need the time to get the titles we publish translated, this isn't quite as tricky for us as it might initially seem," he says. "We've already signed on all the books we're publishing in 2018, and currently have translators working on all the manuscripts." In addition to publishing costs, some of the grant funds will be dedicated toward promotions -- what Post calls the "unsexy" behind-the-scenes work of printing and distributing galleys to reviewers across the country, attending various conferences and festivals where Open Letter can promote its books, taking out ads in some magazines and websites geared toward international literature, and so forth. But Open Letter will be touring a few of the authors -- details to be announced -- and plans to bring them to Rochester, Post says. They are also open to other inventive promotional ideas. "It generally comes down to the book itself, and how it's being received," he says. "There's a ton of prep work that goes into promoting a book, but the real joy comes when things start happening and you're in a position to accelerate that and really boost the attention the book is receiving. It requires you to be flexible and ready to do whatever it takes to capitalize on the situation." Open Letter's operation is tiny -- with only three full-time employees as well as some help from UR students. "We're perennially one full-time employee behind where we need to be," Post says, "but I think 2017 is going to be a big year for us. I think we're better prepared to push forward." Learn more about Open Letter and its publications at openletterbooks.org and rochester.edu/college/translation/threepercent. The organization also publishes a newsletter about upcoming author visits and other events.